Ingredients: Water (Aqua), Bentonite, Glycerin, Titanium Dioxide (CI 77891), Menthol, Mentha Piperita (Peppermint) Oil, Mentha Viridis (Spearmint) Oil, Bixa Orellana Extract, Hedera Helix (Ivy) Extract, Cola Acuminata Seed Extract, Hamamelis Virginiana (Witch Hazel) Extract, Allantoin, Ethylhexylglycerin, Sodium Hydroxymethylglycinate, Guaiazulene, Peg-35 Castor Oil, Citric Acid, Phenoxyethanol, Fragrance (Parfum). Overall, I like this mask. It doesn't seem to do anything extremely amazing, but after leaving it on and washing it off with warm water and small circular motions it leaves my skin feeling like it's just had a deep clean. I've only been using it for about a month and haven't consistently used it throughout the weeks so maybe that is contributing to how I feel about it. As for its use as a spot treatment, I don't find that this is very effective - because it is used only on a small portion of my face the edges of the mask begin to lift up after it dries a little bit. Other than that my skin did not react adversely to it and I had not breakouts after using it. As a mask, his product is only average compared to other masks. As a spot treatment, this works VERY well. I will dab it on large pimples and leave it on while I sleep. After 2 nights, the pimple practically pops on its own and is reduced down to nothing. If you struggle with acne that is stubborn, this will definitely help. Best spot treatment I've ever used. I'd like to note the directions for this mask. It WASHES OFF with warm water. This is not a peel. Do not rip it off your skin people. Read the directions! Rinsing it off will leave your skin smooth. A gentle peel that you can use whenever your skin's feeling dull. You need to layer it on thick enough so it peel easily and you have to wait till it fully dries to make it easy to come off. It also works better anyways if you wait till it's fully dry. Works really well for dry, rough skin. I highly recommend this product. It cleansed all the dirt on my face and moisturised it. It didn't stink my eyes either. I will buy this product again! I use this when I want a good cleanse and like that it is made from natural products. My skin is fair and sensitive and it feels clean and exfoliated - just don't let it set too long, it gets hard and need a damp cloth to remove. I really liked this, it did a great job of getting rid of the dead skin cells and my old, wrinkled skin was a whole lot better afterwards, it was glowing and extremely soft. Have used this three times and do not enjoy the scent at all. Results are nice, skin felt hydrated and smooth. Does take a bit to rinse off. I wouldn't buy this again just because of the scent. This product is absolutely excellent. This mask gives your skin a very nice glow. 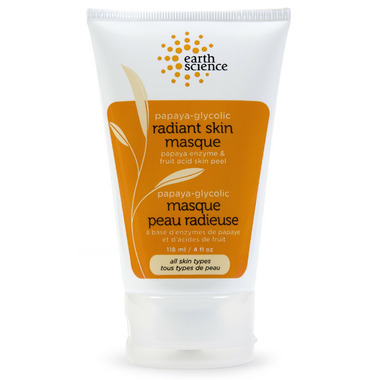 I have very sensitive skin and I have never had any issues with this product. I highly recommend this product! Very hard to rinse off but it's great because it doesn't dry out the skin. I like it but not loving it, its nice, but I felt my skin wa left with an oily sensation, you have to rinse quite a few times It didn't peel off for me . This is a very gentle skin-peel. However, I don't have any experience with peels so I cannot compare this product with other peels. My skin isn't really sensitive, so I can leave this for a long time. I've left it overnight and it worked great. I only used it a few times so I cannot tell if it is good on a long term, but it has left my skin feeling pretty soft. I don't have new break outs so I guess it is a good sign. However, it is now a wow product either. It is pretty expensive for a drugstore product that is why I give it 4 stars. Its not a very strong product in terms of a skin-peel, but it is very gentle and does not leave your skin wanting. Skin feels fresh and light, would be good to add a light moisturizer afterwards. Do not leave on for more than 10 minutes, can irritate if you have sensitive skin. It is easy to apply and doesn't take very long to dry. I found it time-consuming to remove using a washcloth - removing it in the shower would be easier. I recently had a salon glycolic peel which made my skin tingle. This one didn't make my skin tingle, but still felt clean and smooth afterward. Sodium Hydroxymethylglycinate is a preservative. This prodcut minimizes pores and makes the skin smoother INSTANTLY!! I was blown away when I tried it for the first time and even though I was scared that the results might dwindle over time they haven't! I gave it 4 out of 5 stars only because of the price; it's quite steep. This is my FAVOURITE. I love to sit in the bath with this on my face and peel it off when it dries. Like peeling glue off your hands in kindergarten. It leaves my face feeling refreshed and soft. When I apply moisturiser or oil afterwards, it feels like my skin is drinking it (in a good way). Love it! It left my skin really smooth and did a great job of tightening my pores. The results last for days. Not sure if this product is working or not as I have never had a glycolic peel before but it is easy to put on, you don't have to wait to long to wait for it to dry and washes off easily. No weird smells and it is not harsh on your skin. You do notice a brighter and smoother look to your skin for a few days. Definitely a great product for winter days. Excellent, salon-quality peel. It rinses easily. It leaves my skin renewed, smooth and my face looks lighter. It unclogs and tightens pores and this effect lasts for couple of days after the peeling. It has pleasant natural smell. I love it!